As much as one-third of all the food produced in the world is lost or wasted, according to the United Nations’ Food and Agriculture Organization (FAO). The loss alone is estimated at over US$ 940 billion annually, and at a time when one out of every nine people is malnourished. The sheer scale of this crisis is not only unsustainable, it’s extremely difficult to stomach. While everyone is culpable to some degree, it’s the wealthier nations that contribute most to the problem. For instance, the European Commission estimates the EU’s annual food waste at around 88 million metric tons with associated costs at €143 billion. The startling statistics have not gone unnoticed by food supply chains, particularly with one of the United Nations’ 17 Sustainable Development Goals (SDGs) committing to “halve per capita global food waste at the retail and consumer level, and reduce food losses along production and supply chains by 2030.” As such, there’s an increasing number of leading players looking at ways to tackle food loss and waste. What's more, many are finding that addressing the issue also makes good financial sense. Hundreds of millions of dollars are now being saved across the retail and foodservice sectors in multiple markets through measures to reduce food and packaging waste. The complexity of the food waste challenge means there’s no silver bullet solution to fix all food supply chains in all markets, but the waste-conscious certainly aren’t without the means to address specific challenges. Unquestionably, one of the simplest and most impactful ways to minimize unnecessary food waste is to utilize raw material as fully as possible. This is certainly the case in the seafood sector. As we know, fish is one of the most versatile of all food categories, spanning an extensive variety of species and ways in which they can be prepared and consumed. While many of the raw materials involved are prone to spoilage at quicker rates than many other food types, the sector has been quick to adopt processing technologies and procedures as they emerge to reduce the rate of wastage, at the same time as boosting yield and enhancing the consumer product mix. There is, though, much more to maximizing fish yield than putting meals on peoples’ plates. Indeed, there’s mounting evidence that so much more value can be generated by utilizing all of the component organs. Icelandic cod is one of the world’s most plentiful whitefish species, with the consumer popularity to match. 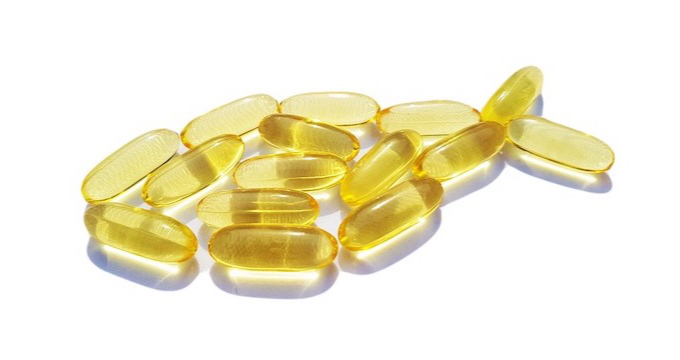 It’s sustainably caught in large quantities with prime-quality cuts exported to many eager consumer markets. But up to 60% of this iconic fish’s biomass remains after filleting. Consequently, if you’re processing large volumes, there’s a lot of byproduct available. Fortunately, innovative companies in Iceland and beyond are finding there’s no shortage of applications for many cod byproducts. These include trimmings in fishmeal production; liver and cod liver oil are valuable items in the supplements sector; dried heads and backbones are sold as delicacies in African markets; and dried swim bladders provide highly-prized “maw” in Asian markets. In fact, some of these items actually generate larger incomes than the traditional food products. There is also a growing number of uses for cod skin—from pet food to leather goods to collagen powder. 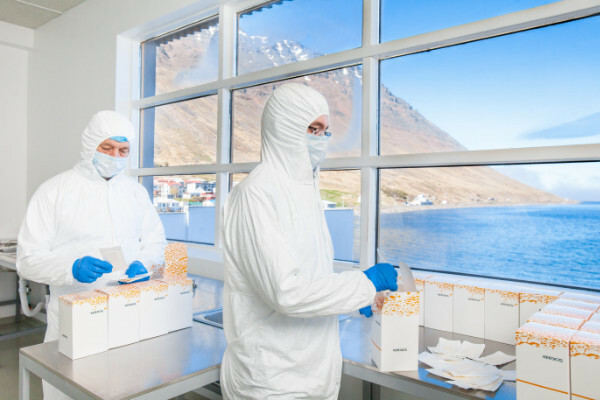 And one entrepreneurial Icelandic company—Kerecis, a leader in skin regeneration technology—has gone a step further with the creation of valuable medical products, including omega-3 rich fish skin grafts that can be used to heal wounds on burn victims and diabetics. The next groundbreaking application for high-quality Icelandic cod is probably just around the corner. But innovations require technology. 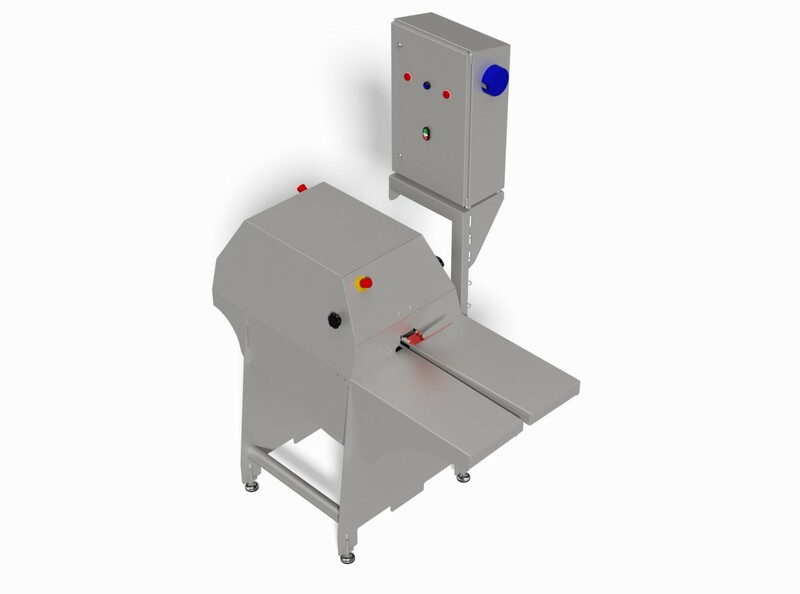 When incorporated into value-added fish processing solutions, the Skaginn 3X frame cutting machine is the ideal piece of equipment to obtain byproducts of the highest quality. Not only does our frame cutter enable the sector to increase its raw material utilization, it also helps fulfill the growing requirement for fish processing plants to offer adaptable operations. This kind of equipment ensures that processors remain relevant and competitive as the future of food production demands greater flexibility and enables processors to diversify into other lucrative sectors and revenue streams.